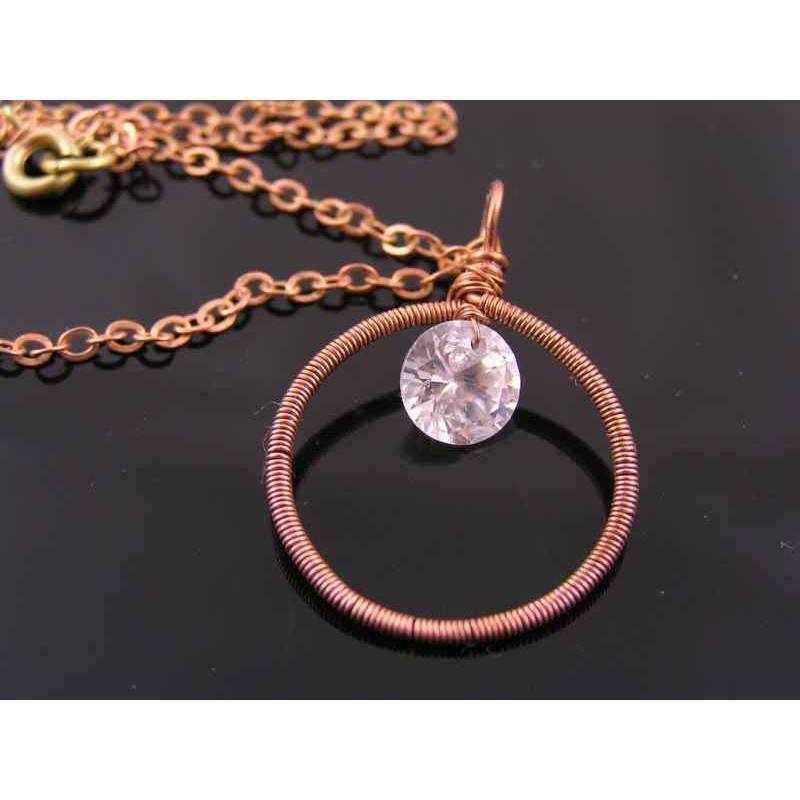 This circular frame pendant is hand formed and then meticulously wire wrapped with extra thin wire. 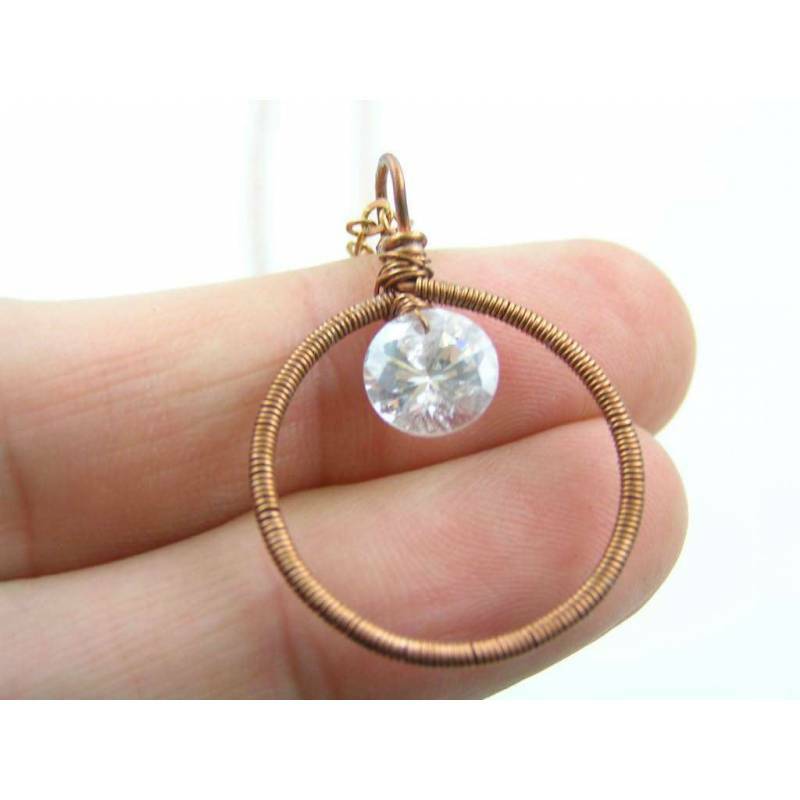 The large, 2ct or 8mm white cubic zirconia sparkles like a diamond due to the brilliant faceting. It is attached at the top of the frame. 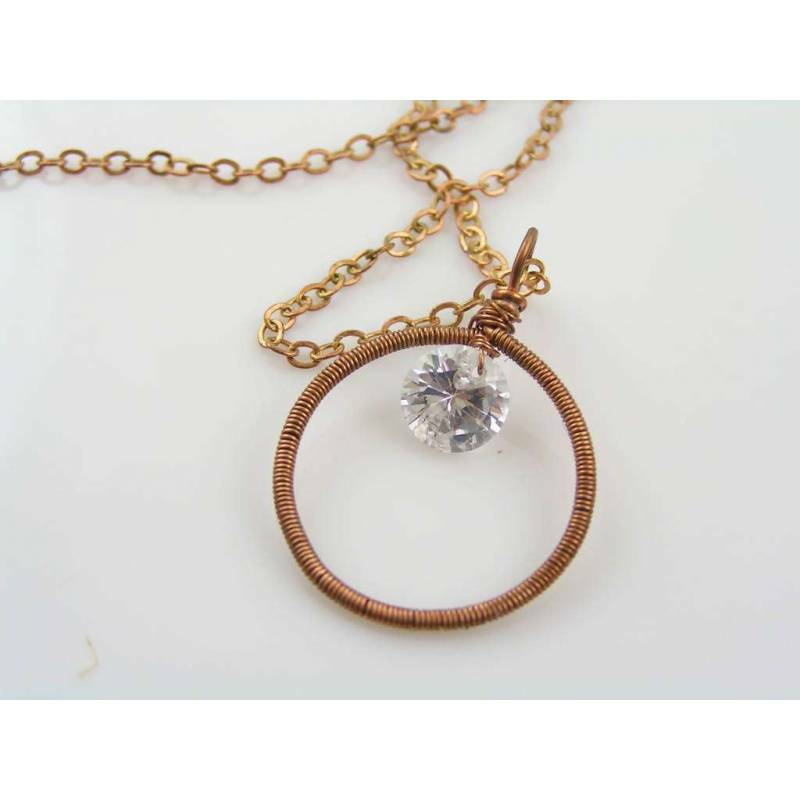 The pendant is threaded onto a 45cm long trace chain which closes with a spring ring clasp. 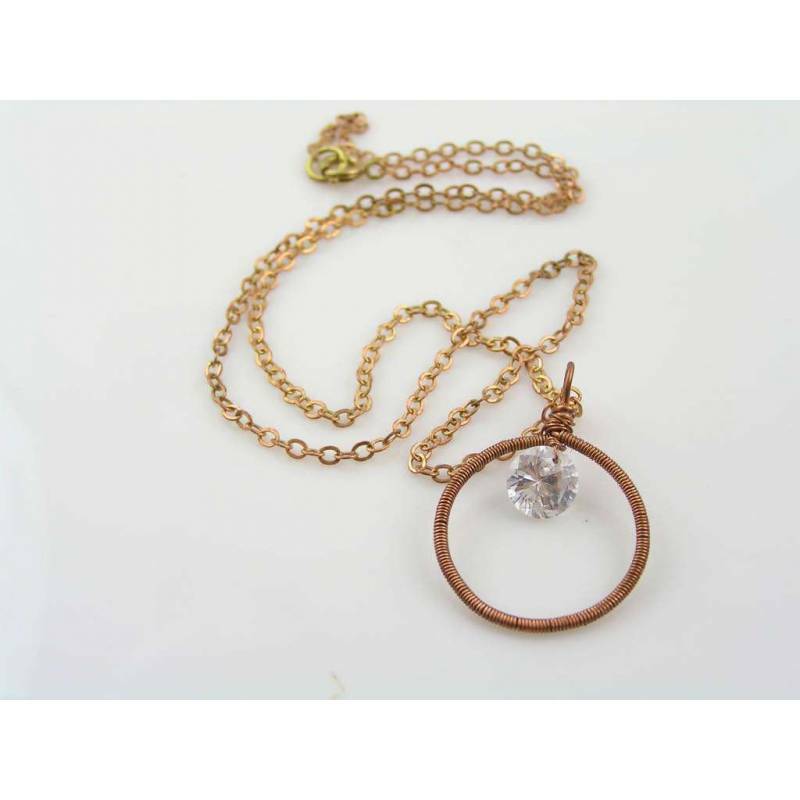 The necklace is solid brass, the pendant solid copper. Diameter of the pendant is 23mm.